HomeFitnessHealthWelfareCan Relationships With Grandkids Help Grandparents Live Longer? Can Relationships With Grandkids Help Grandparents Live Longer? I just met a lady who was in her 70s and who was sick of living. I was taken back because while I am only in my 50s, I love life and all it has to offer. She is depressed and is seeking medical help, thank goodness, but her story made me think – what keeps us going as we get older? What do seniors have to live for? After retirement, there is no job to get up in the morning for. Physically seniors find it more difficult to get around. It is frustrating for them when they can’t play sports or maintain their home and garden like they used to. Many seniors are living in poverty and feel left behind when it comes to the technology driven world we live in. Some are disillusioned by the fate of their children who have not succeeded in the way they would have hoped. Sure there are those retirees who are wealthy and enjoying life which I think that’s wonderful. However, I worry about those who weren’t so fortunate. Can relationships help grandparents live longer? 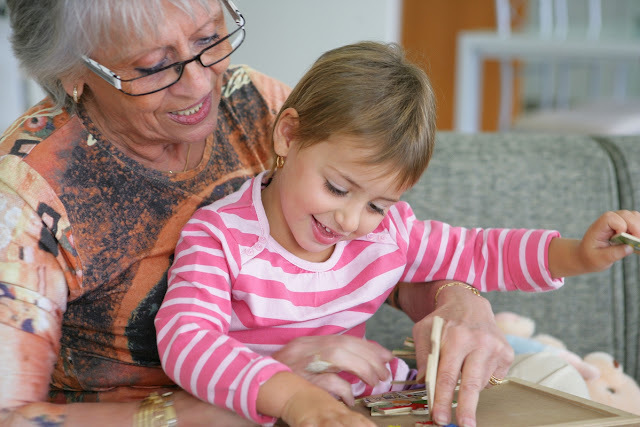 One of my goals is to help grandparents establish a deep and meaningful relationship with their grandchildren. I believe mature people have so much to offer. They are wise, patient and have time to invest in their families. I also believe that children today need as much guidance as they can get. They are inundated with messages from advertising and peer pressure. Girls and boys as young as 8 years are suffering from eating disorders, for example. The only eating disorder my generation suffered from was having to finish your dinner before you were allowed to have dessert. Parents are busier like never before, and many would love for their parents to help them guide and support their children. There is an overwhelming need for children to learn the importance of values such as empathy, generosity, and trust, too. If the lady I mentioned earlier was driven by a passion to connect with her great grandchildren, and help them as much as she could would she be happier? If we are feeling happy and confident about our future we tend to eat better and get more exercise, and as a result, generally live longer. While I address grandparents directly through my work, I believe that parents and children can help too. If you have grandparents or great grandparents why not find a way to help them help you? They may seem reluctant at first, but once they feel confident they can make a huge difference. Just by spending time with their grandchildren, they are showing they care. Whether it is a stroll along the beach or coloring in together, time shared opens up opportunities to talk about issues. It builds trust and, as people draw closer, they share a sense of unity and oneness. And, like I mentioned before these feelings make us happy; happiness leads to better health, and better health leads to a longer life. 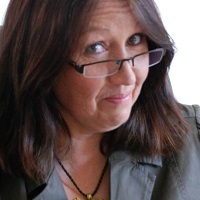 Susan Day, children’s author and writer. Her blog, Astro’s Adventures Book Club, is full of ideas and tips for grandparents, parents, and teachers to support them in helping children become better readers. Susan has created a guide for grandparents who want to build a more meaningful relationship with their grandchildren through a shared love and passion for books.